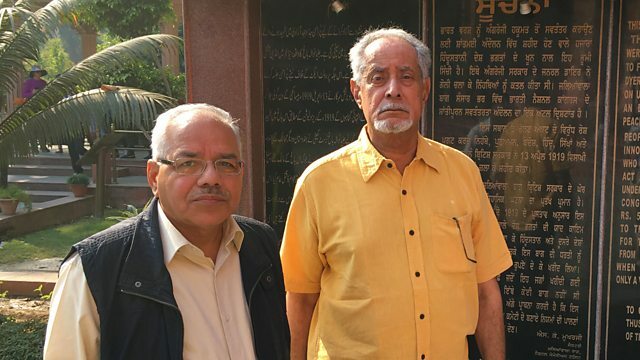 A century on, historian Dr Zareer Masani reappraises the events and context of the Amritsar massacre in which hundreds of Indian civilians were gunned down by British troops. A hundred years ago, a British officer ordered 50 Gurkha and Indian troops to fire on an unarmed crowd of many thousands in Amritsar’s Jallianwala Bagh. Historian Dr Zareer Masani (above right) explores the myths and realities around one of the worst episodes in the history of the British Empire. How many people were shot or wounded? Was it a pre-meditated slaughter by Brigadier Reginald Dyer, later dubbed “the Butcher of Amritsar”? Or was he massively over-reacting to a large public meeting? Zareer travels to Amritsar to visit the scene of Dyer’s massacre and to talk to the curator of the local museum, to descendants of some who died and to historians of the event. He’s surprised to find this site of national mourning turned into an ornamental family picnic spot where people pose for cheerful selfies alongside bullet-holes in the walls. On a visit with the Queen in 1997, Prince Philip is reported to have asserted that the casualty figures were exaggerated. Was he right to do so, and why were his comments so controversial? The precise casualty figures have been hotly debated, with best estimates now agreed by most historians as being 5-700, not 2000 as claimed by the Indian government. And why did the massacre have such a dramatic impact on both the Raj and the nationalist movement? Buried in the past, Zareer finds evidence that Jallianwala was not an isolated incident, but the result of a spiral of violence in the Punjab, much of it directed at unarmed Europeans. Should Britain now make a formal apology for the incident? Dyer’s biographer maintains that we should, but surprisingly the Indian historians Zareer interviews say it would be meaningless.